Korres Mandarin Lip Butter Stick Colorless SPF15 , 5ml (0.17oz). 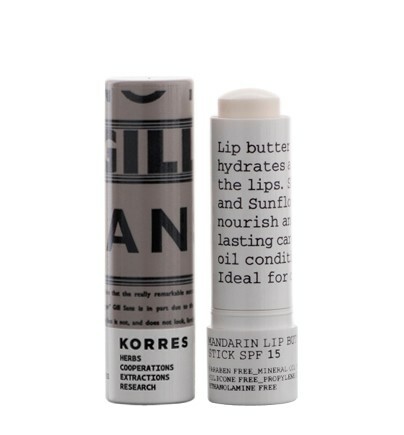 Lip butter from Korres that instantly hydrates and softens the lips. Shea butter and Sunflower wax deeply nourish and offer long-lasting care, while Mandarin oil conditions dry lips. Ideal for chapped lips.